There's nothing quite like Indian food, the rich symphony of spices working in harmony to deliver complex yet balanced flavours that excite the palate. We pay homage to one of the world's most beloved cuisines with a list of some of our favourite Indian restaurants. 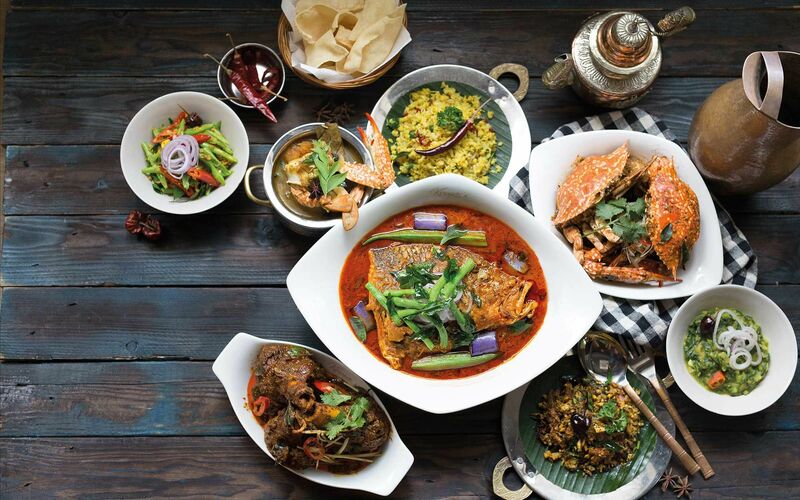 There's no place like Nadodi in Malaysia, the contemporary restaurant that always manages to get us excited about Indian food. Here, you'll be treated to a fascinating retelling of the best parts of Indian cuisine in new and exciting ways that will continuously meet your expectations through elaborate degustation menus. If you're looking to spice up your next date night, you can't do better than this. This popular small vegetarian Indian restaurant in Bangsar is well known for their wholesome foods. The Ganga Cafe doesn't use any MSG, egg or colouring of sorts in their food and offers a hearty buffet spread every Sunday that sees loyal diners return for a scrumptious meal. Where Have These Indian-Inspired Cocktails Been All Our Lives? Made famous in India and having made its foray onto Malaysian soil sometime this year, MTR 1924 serves Indian vegetarian cuisine done exceptionally well. Their dosas are seasoned and cooked to perfection, their chutneys delicious and flavourful and their menu varied yet focused. If you have the chance, give their coffee a chance and you may find yourself a fan faster than you can finish it. Located at DC Mall, Kumar's is easy to recommend, thanks to plenty of quality dishes like fish head's curry, chicken 65 and stewed spinach with dhal and aloo ghobi to keep your biryani rice or naan company. Besides a hearty menu, guests can look forward to value for money set lunches that will give you bang for your buck. Operating out of PJ Old Town for more than a decade, Sri Ganapathi Mess is one of the best spots in the Klang Valley to have quality banana leaf rice. Their fried dishes here are done à la minute to ensure freshness, they offer dishes you can't get anywhere else like fried mutton, and their crab curry is a flavour bomb. Need we say more? Nothern Indian cuisine is the name of the game over at Namaste India, a loving tribute to the owners' memories growing up back home. The restaurant's meat curries are hearty and flavourful, while their tandoor specials definitely make a fine pairing with their soft breads. With a rich menu to discover, and the option to have Grab Food deliver it to you if you live nearby, there's not much to dislike here. Situated near the Masjid Jamek LRT station, Betel Leaf is a popular downtown choice, serving authentic Chettinad cuisine since 2009. The restaurant boasts an extensive menu, a warm ambiance despite its weathered furnishings, and delicious dishes for vegetarians and non-vegetarians alike. Order the gobi (cauliflower) manchurian for a spicy dish to whet the appetite. Inspired by a 50 year old restaurant in Mumbai, India, this homegrown Indian eatery specialises in breads and dips to accompany them. As simple as it may sound, it's where Flour shines, drawing carb loving Malaysians to Damansara Heights to sit down to a meal rich in spices and gratification.